I have undoubtedly read more books by Robert Rankin than by any other author. In the early 1990s, I stumbled across Rankin’s books in a rather circuitous manner… As a huge fan of Neil Gaiman’s Sandman series, I read the (excellent) novel Good Omens that Gaiman had co-written with Terry Pratchett. This in turn prompted me to read a number of novels in Terry Pratchett’s Discworld series and at the back of several of these was a page advertising the Robert Rankin novel The Antipope, always accompanied by the quote from Terry Pratchett “One of the rare guys who can always make me laugh”. Both the title of the book and the quote from Pratchett was enough to get my attention and I subsequently tracked down the book, read it, loved it. The basic premise of The Antipope, like most of the books in his Brentford “Trilogy” (which is now up to nine books), is that some supernatural apocalypse is about to destroy the world and the only thing standing between us and oblivion is John Omally and Jim Pooley, a couple of hard drinking idlers. I was instantly taken with Rankin’s style and humour. Within a few weeks I had read everything else that he had published to that point. This included Armageddon: The Musical, which is not only an excellent title for a book, but remains to this day one of my favourite dozen novels. After my initial binge read of his books was completed, around November of each year there was consistently a new book of his for me to read and this became an annual ritual which rather abruptly ended in 2013 (with the enjoyable The Chickens Of Atlantis And Other Foul And Filthy Fiends). As I went on happily buying whatever Robert Rankin’s new book was every year, for some reason it never occurred to me that the real world might in some way effect the way these books were written and published. 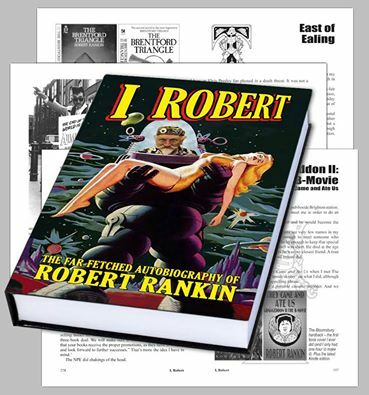 I, Robert puts a fascinating and personal context around Robert Rankin’s writing career. With several very successful books (The Antipope, The Hollow Chocolate Bunnies Of The Apocalypse) and a few commercial failures (The Toyminator and the Cornelius Murphy books) the book tracks his ups and downs in publishing. I, Robert doesn’t follow the standard autobiography format. Rather than a straight chronological listing of events and people, the book is split into two halves. The first half of the book is a series of mostly humorous anecdotes told in a non-linear manner. A series of tall tales on topics as diverse as wandering the streets in an electric blue suit, the Brentford Griffin, injuring Freddie Mercury, childhood, James Brown and supplying glassware to the Mos Eisley Cantina. The focus of these stories is generally on Robert Rankin, his parents and his friends, references to his children, “then-wife” and “then-girlfriend” are made only in passing to give context to his stories. 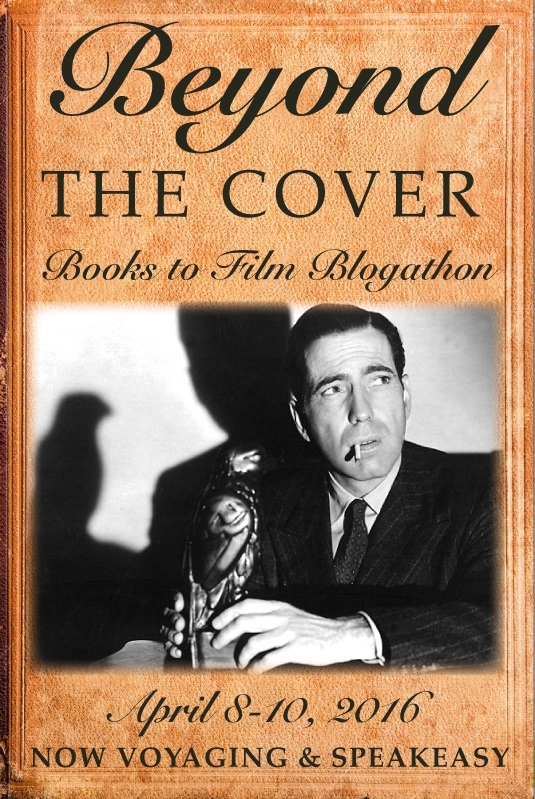 The second half of I, Robert is chronological by novel, with a chapter devoted to each of his books. While the first half of the book is highly entertaining, the second half (while still very entertaining) is far more informative about Robert Rankin’s life and career. As a whole, the second half of the book provides an interesting take on the changes in the publishing industry from 1981 to 2015, using anecdotes around each of his books to provide this context. Beginning with Rankin’s initial attempts to become published through to working with short and long term contracts and finally leaving mainstream publishing and building a new publishing company starting with the e-book rights to his early novels and moving onto self-publishing. The stories Rankin tells around each of his books not only highlight the artistic and commercial successes, but also the low points. The reader is given a context of where Rankin was both professionally and personally with the publication of each novel. The most enjoyable aspect of this part of the book for me was the explanations of how he used many of his friends and family as inspiration when creating not only the heroes, but also the villains of his books. It was also very interesting to discover what he considered his favourite and least favourite of his novels, which will lead me to re-read a number of these books soon. He also takes many interesting diversions to discuss the artwork of his books, much of which he created himself.